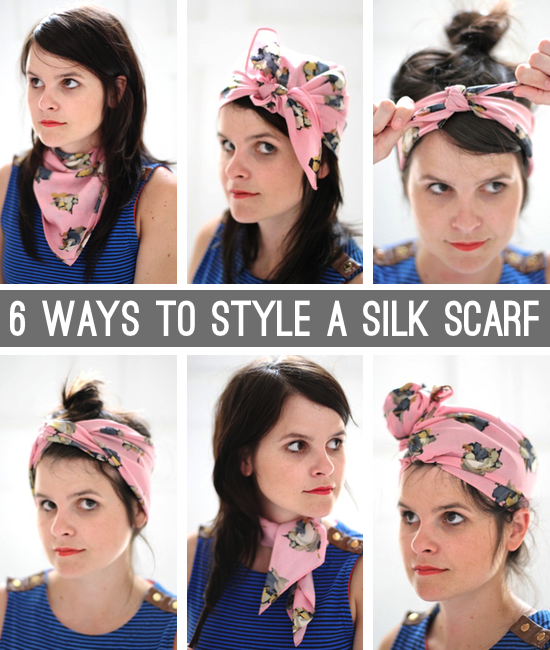 A while back, I shared 6 ways to style a square bandana and it quickly became one of my most pinned fashion DIYs. 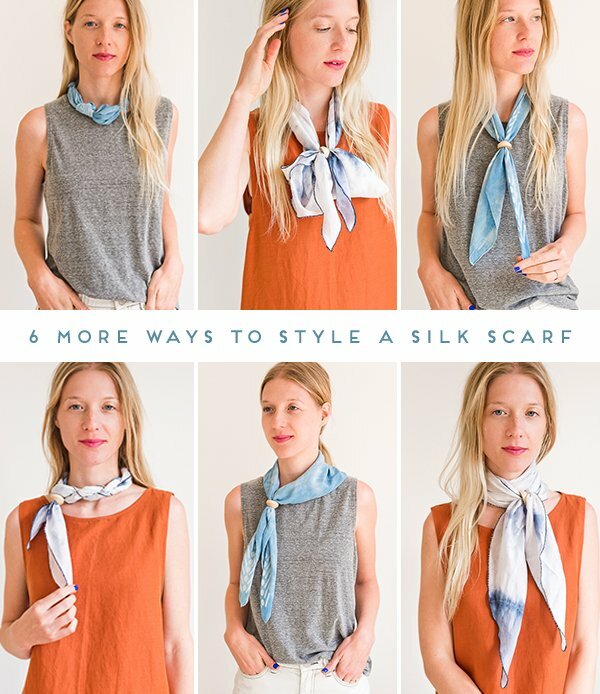 So, today I’m sharing 6 more ways to style a scarf with brand new ideas and a longer scarf shape to keep things versatile. 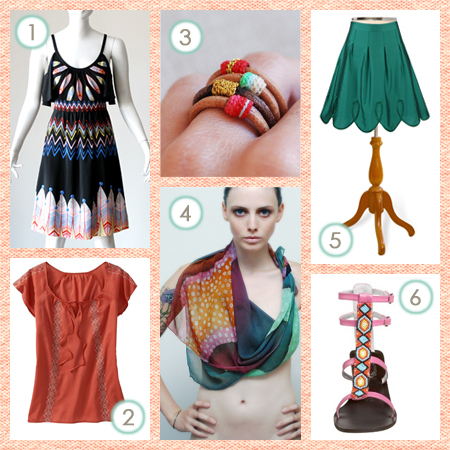 Click through for all six ideas! We can also call this one the “Flight Attendant.” On behalf of your entire crew, welcome aboard! 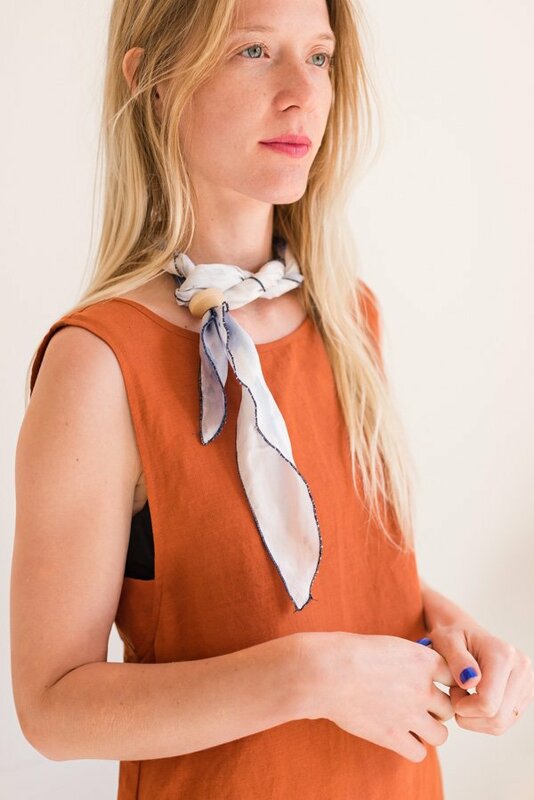 Begin with even lengths around your neck. Place one end of the scarf in the wooden slide and pull through. Then, take the other end of the scarf and pull through the wooden slide in the opposite direction. 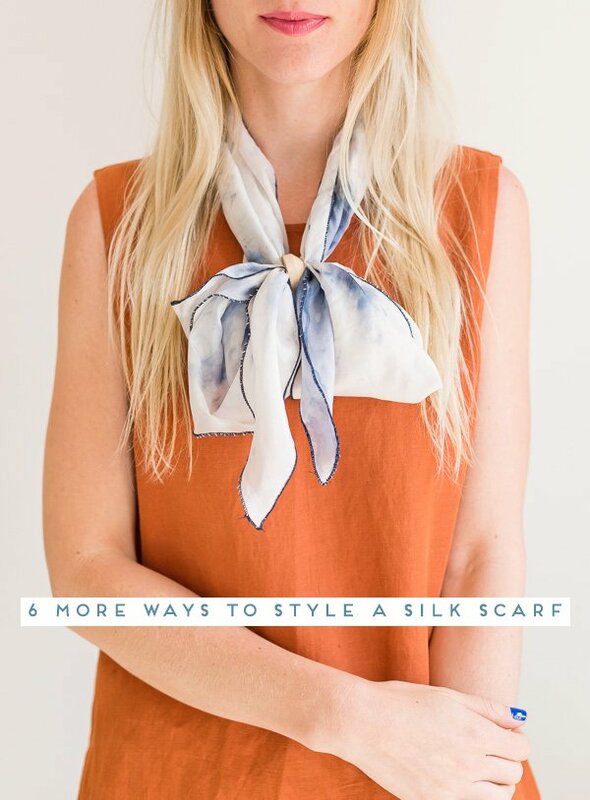 To create the bow, loop one end of the scarf back into the wooden slide and do the same with the other end of the scarf. Pull the ends through as much as you would like to create a large or small bow. Evenly make four knots along the length of the scarf. Place both ends of the scarf in the wooden slide and pull the wooden slide up so that the scarf is tighter around the neck. Complete by making another knot below the wooden slide. And turn the bead around to the back. Tightly twist the whole length of the scarf. We found it helpful to hold one end still (either having someone hold it or tie the end to something still) and then twist. Bring both of the ends into one hand to allow it to twist back into itself. This will create a loop on one end. Wrap around your neck and pull the loose ends into the loop. Place both ends of the scarf in the wooden slide and pull the wooden slide up. 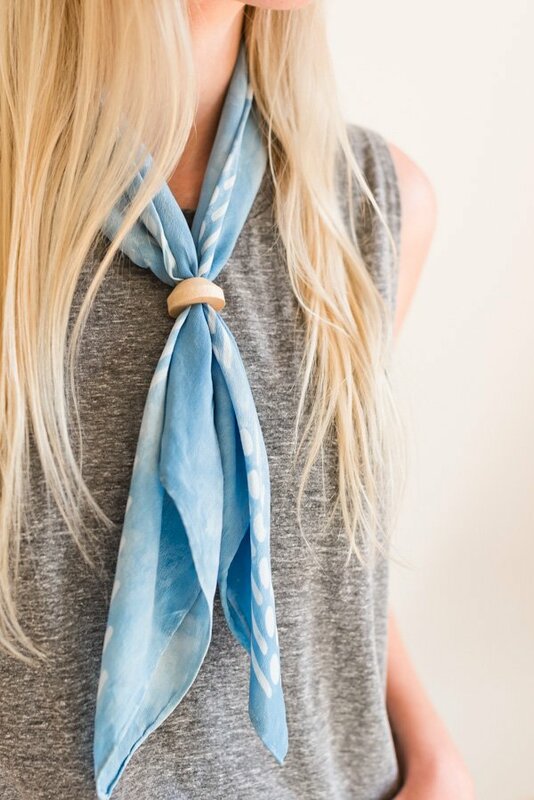 Fold the scarf in half creating a triangle. Place both ends of the scarf in the wooden slide and pull the wooden slide up as far as you would like. 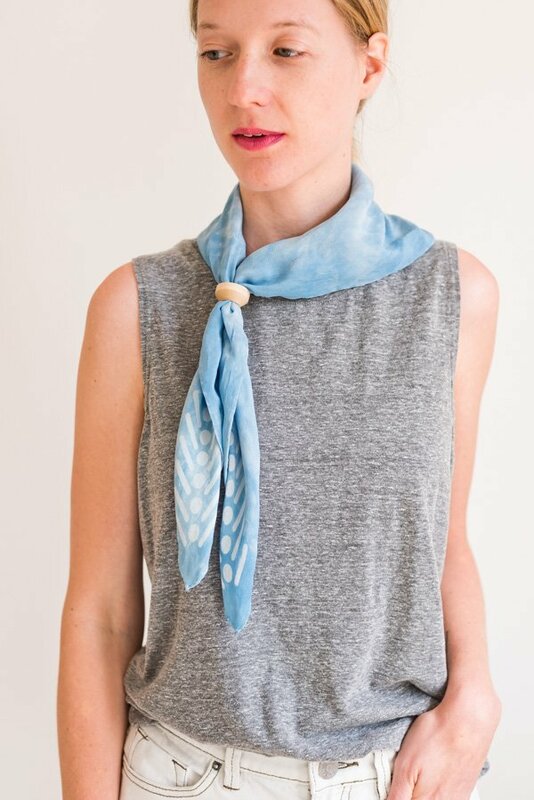 Place the scarf around your neck from the front to back. 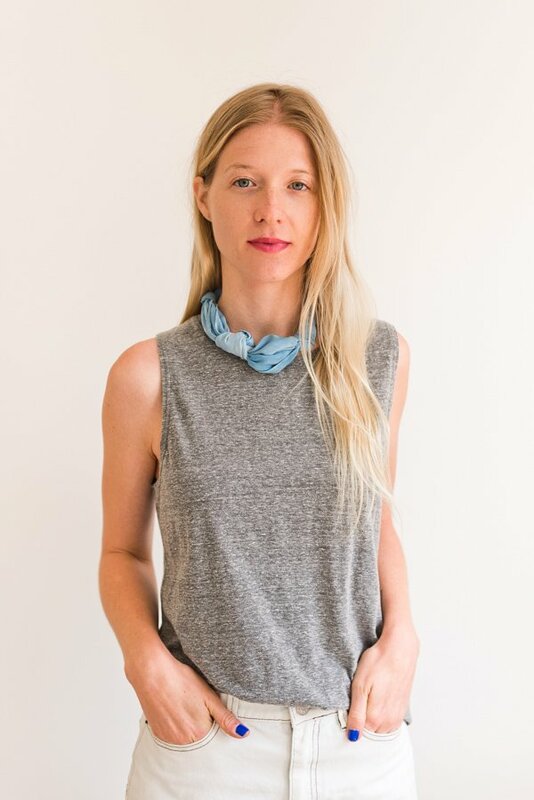 Pull the ends back around to the front with even lengths around your neck. Place one end of the scarf in the wooden slide and pull through. Then, take the other end of the scarf and pull through the wooden slide in the opposite direction. Last but not least is the bolo tie. Begin with even lengths around your neck. Place both ends of the scarf in the wooden slide and pull the wooden slide up as far as you would like to create a tie effect. P.S. 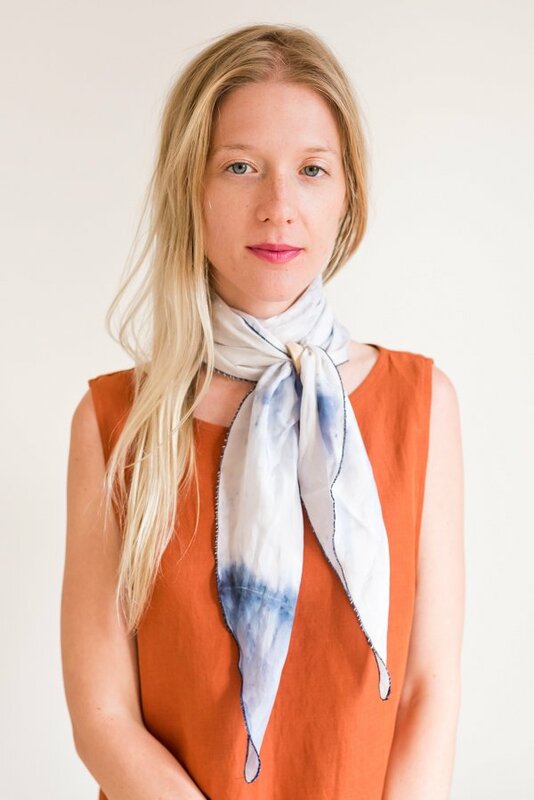 The scarves we used are the silk neckerchief from Garner Blue, and a scarf from Atlanta designer Megan Huntz (sadly she doesn’t sell them online currently). Which look is your favorite? I’d love to know! 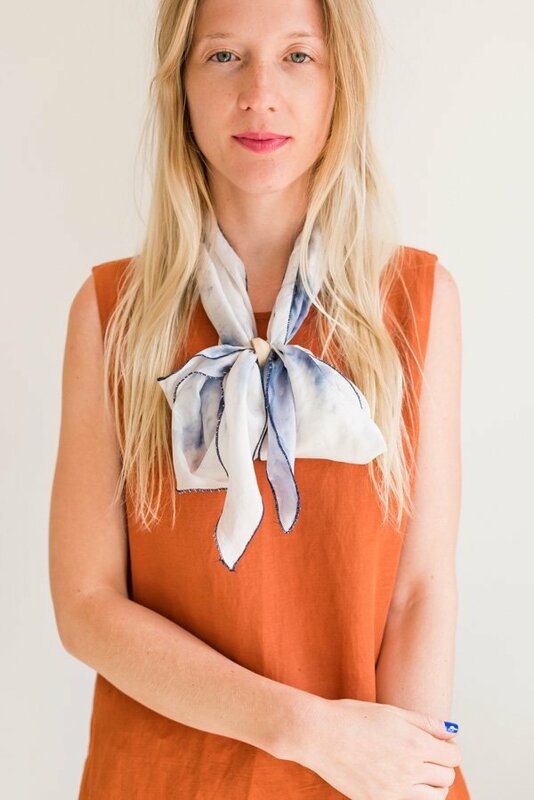 I totally need to add some of these cute scarves to my life! Beautiful styles! I love the twisted necktie! where might one find that wooden scarf slide? All of the options are so gorgeous. I love how much different looks are possible with a single piece.